Where Leaders of Today Meet Leaders of Tomorrow! 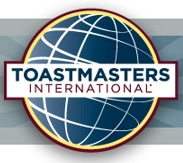 At Georgia Commerce Club Toastmasters, we strive to provide a positive, collaborative, learning environment for speakers of all backgrounds and skill levels. Our workshop format encourages active participation that leads to rapid improvement. Join us to learn how to speak, to lead, and to excel in a business environment and in your daily life.